Have no fear...you CAN bring soggy celery back from the dead! This is a tip I wish I would have had known sooner. Ugh, HATE wasting food! I can't even tell you how much celery I have probably thrown away unnecessarily. 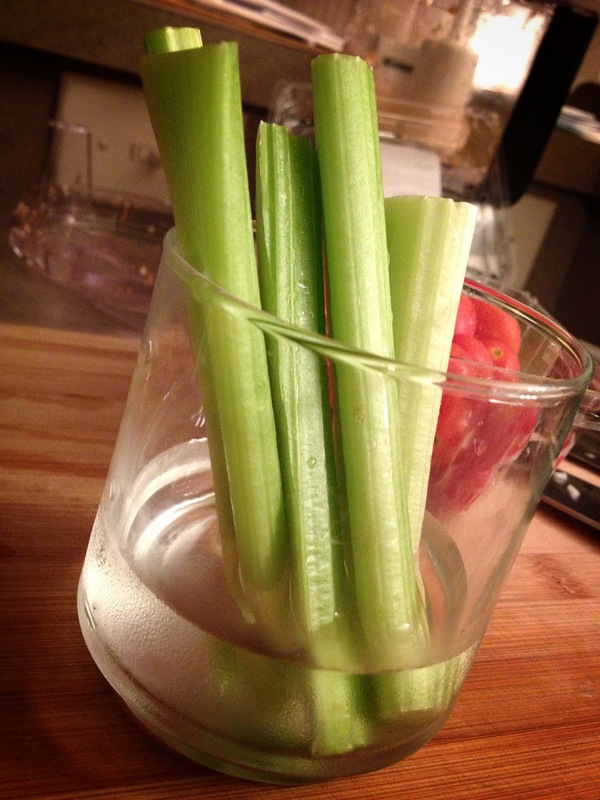 This little trick came in handy the other night when I wanted to throw some celery into a salad. It is so disappointing when you go to take celery out of the fridge and it is all soggy and rubbery. Gross! All I did was cut about 1/4 inch off the bottom of the celery and stick it in a cup of ice cold water for about a half hour. When I was ready to slice it up it was just as good as new. I did a little more research, you can also submerge the whole stalk...I bet that would work faster. I'll give it a try next time. Anyway, enjoy bringing your celery back to life! i just heard this for the first time the other day - so handy! I haven't tried it yet so great to know it actually works. When I hear little tips like this, I sometimes think they are just too good to be true! Are you serious? I needed this little tip. Thanks!